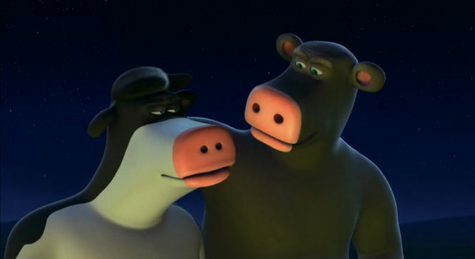 Nickelodeon's "Barnyard" earned a measly 22% on Rotten Tomatoes. Everyone has that memory they try to repress until the end of time. For some, it might be the time they embarrassed themselves in front of their crush. Others try to forget the time they didn’t have the right music for an audition. Nickelodeon’s “Barnyard” earned a measly 22% on Rotten Tomatoes. 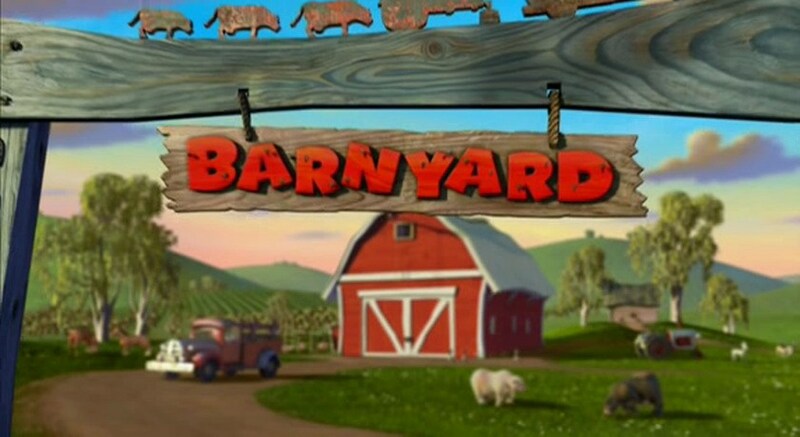 I was six years old the first time I first watched “Barnyard.” Like many kids, I didn’t understand true cinema when I saw it. As a fan of “Transformers” and “Ben 10,” I knew that unless something exploded or had action figures I could get my Cheeto-stained fingers on, there was no chance I was interested in it. 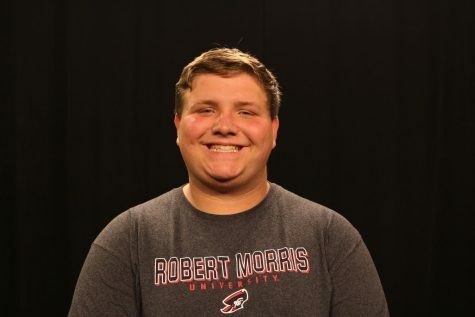 James voices Otis, a carefree talking cow who throws parties when humans aren’t around. Along with mouse friend Pip (voiced by Jeffrey Garcia), Pig the Pig (Tino Insana), Peck the Rooster (Rob Paulson) and Freddy the Ferret (Cam Clarke), Otis parties rather than take any responsibility. Neither Otis’s lifestyle or his general behavior is tolerated by Ben (Sam Elliot), who is the farm’s leader and Otis’s father. After Otis and friends crash a barn meeting with his shenanigans, Ben warns Otis that he intends for him to take over one day–leading the farm and everyone in it. Much like Luke Skywalker trying to go to Tosche Station for some power converters, Otis completely disregards the plot of the film and decides to goof off with his talking animal friends. The plot thickens once Ben trusts Otis to leave his guard post to go to a party in the barn. Not only is this one of the sweeter moments between Otis and his dad, but it also raised several theories about Otis’s sexual orientation. If you are a keen observer, you may have noticed that Otis has udders. And if you have been studying your cow anatomy for the past couple weeks like I have, then you know that bulls do not have udders. 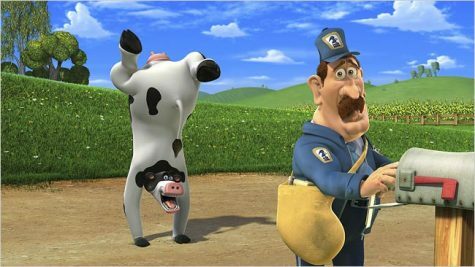 Now you can discount this as the animators knowing that kids associate cows with milk and milk comes from udders, which I can believe is entirely possible. What really throws this whole theory into the plausible territory is this exchange between Otis and Ben. This one exchange, along with Otis’s weird anatomy, gives theorists enough evidence to believe that Otis broke the mold as a transsexual character back in 2006. Theories like this make me want to cry at how weirdly they work. Surprisingly, this is not the only thing about the movie that made me cry. What made me fight crying about this movie was a cover of Tom Petty’s “I Won’t Back Down” by Sam Elliot. What doesn’t help is that Otis left Ben to fight off the invading coyotes by himself. 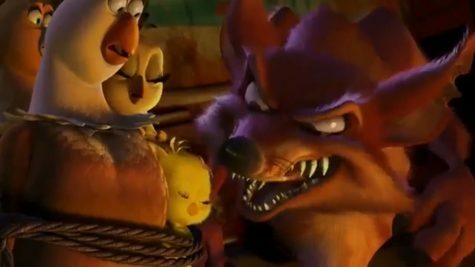 These coyotes, led by main villain Dag (voiced by David Koechner), kill Ben during a hen house raid. The rest of the movie involves Otis torturing humans on his hellbent quest to avenge his father’s death.